Philip Headlam, principal conductor and co-artistic director of The Continuum Ensemble, enjoys regular partnerships with orchestras and opera companies throughout Europe. Recent engagements include conducting the Britten Sinfonia in a programme of Stravinsky and a world premiere by Kenneth Hesketh (also broadcast on BBC Radio 3), the world premiere of Errollyn Wallen’s opera Another America: Fire at Sadler’s Wells, London for the PUSH Festival in 2004 and Judith Weir’s new opera, Armida, an opera commissioned for television by Channel 4 in 2005. He conducted celebratory concerts for composer Henri Dutilleux in London and Cambridge and led the U.K. premiere of Georges Aperghis’ Little Red Riding Hood to outstanding reviews at the Almeida Opera. Increasingly busy in opera, he collaborates regularly with English Touring Opera (Fidelio), the Batignano Opera Festival (I Giganti delle Montagne), the Orchestra of the Age of Enlightenment (Donizetti’s Linda de Chamounix), the Royal Albert Hall Opera productions (Madame Butterfly) and the Theatre de la Monnaie (Peter Grimes as well as world premieres by Luca Francesconi and Pierre Bartholomee). He has also worked for the English National Opera, Welsh National Opera, Wexford Festival (Ireland), Bregenz Festival (Austria), Opera Genesis, Vlaamse Opera Studio (Ghent, Belgium), Aldeburgh Festival and the Israel Vocal Arts Institute. In Canada, Philip Headlam has conducted the Manitoba Chamber Orchestra for broadcast on CBC Radio, the K-W Symphony at the Westben Summer Music Festival in Ontario and at the Conservatoire de Musique de Montreal. He has conducted many contemporary opera premieres at the Opera Programme of the Banff Centre, Alberta. Mr. Headlam has conducted in broadcasts for BBC Radio 3 (Morning Performance and Hear and Now), Belgian Radio, Canadian Broadcasting Corporation (CBC) and on RTE (Ireland.) He has released two cds of music by Errollyn Wallen (Avie) and Roger Smalley (NMC) with The Continuum Ensemble to outstanding reviews. He has conducted works by Hans Werner Henze for the English National Opera and conducted concerts at the Flanders Festival. Mr. Headlam was on the staff of the Opera Programme at the Banff Centre, Canada for five seasons where he conducted many contemporary opera premieres. He has scored pieces by Ravel, Dallapiccola, Brahms and Berg for chamber orchestra that have been performed in Europe and Canada. He continues to accompany singers in concert and performed Schoenberg’s Das Buch der Hangenden Garten with mezzo-soprano Susannah Self at the Dartington Festival, Devon, England in 2002 and Judith Weir’s song cycles The Voice of Desire (broadcast on BBC Radio 3, December 2005) and Natural History. 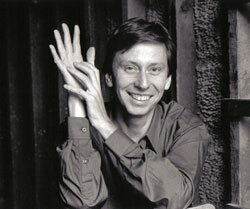 Douglas Finch, born in Winnipeg, Canada, began improvising, composing and performing on the piano from an early age. After studies with William Aide at the University of Western Ontario and Beveridge Webster at the Juilliard School in New York, Douglas Finch won several awards including a silver medal at the Queen Elisabeth International Piano Competition in Brussels. Since then, he has had an active and varied career internationally as a performer and composer. He has performed recitals and concertos across North America and Europe with numerous broadcasts for the Canadian Broadcasting Corporation (CBC) and BBC Radio 3. Recent projects include tours with singer Dagmar Krause with the production ‘Fallen City’ based on Kurt Weill’s Mahagony with music by Eisler and Finch, in Portugal, Spain, Ireland and Japan, composing the music for Transplant, a major musical theatre piece based on a play by Jeremy Seabrook and Michael O’Neal performed at Camden Road Theatre, London, November 2001 and incidental music for the play Nirvana by Konstantin Iliev, directed by Jonathan Chadwick, Riverside Studios March 1 - 20, 2005. Future projects include composing the music for a new film by Jon Sanders in autumn 2005 and a theatre production of Alcestis in 2006. 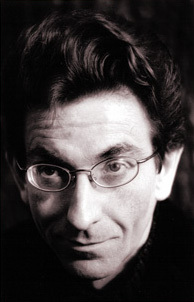 Douglas Finch has been Head of the Keyboard Faculty at Trinity College of Music, London since February 1999.